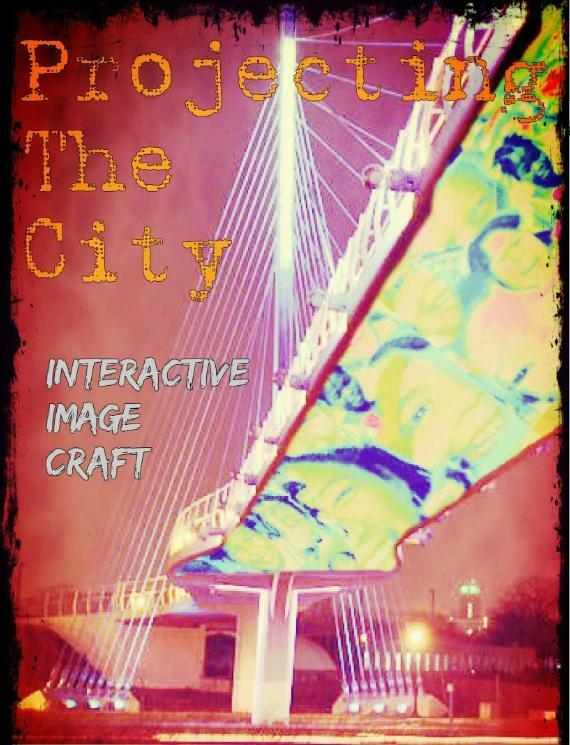 Interactive Image Craft. Image courtesy the artists. Experience the projections of the city by following the pedal-powered projection trailer as it moves westward along the Greenway. Projections will use multiple layers of video and imagery to generate distinct and memorable reflections of the people and use of the Midtown Greenway from past, present and future. Viewers help co-create the dynamic, performance-based product by becoming a part of the projection themselves.